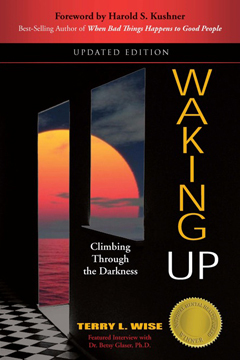 Terry Wise’s book is aptly named Waking Up, as trauma in childhood or in adulthood puts us into another state of mind from which we have to awaken, or we are lost to its ill effects. Her book is a moving recounting of the dance that must occur between parts of us, or between we as the broken, and the counselor as the healer. She takes us on that journey honestly and bravely. We celebrate with her when she reaches for the help she so desperately needed. Now her book can help others reach for help, too.